Where you shop, the websites you visit and whom you connect with on social media could influence whether you’re approved for credit, your interest rates and the offers you receive from banks for new products and services. Financial institutions learn these things about you through “Big Data,” massive amounts of collected information specially processed to reveal useful insights. Banks are increasingly using such data to piece together a more complete picture of individuals’ lifestyles and spending habits. Big Data helps banks learn more about their customers and target potential new ones. 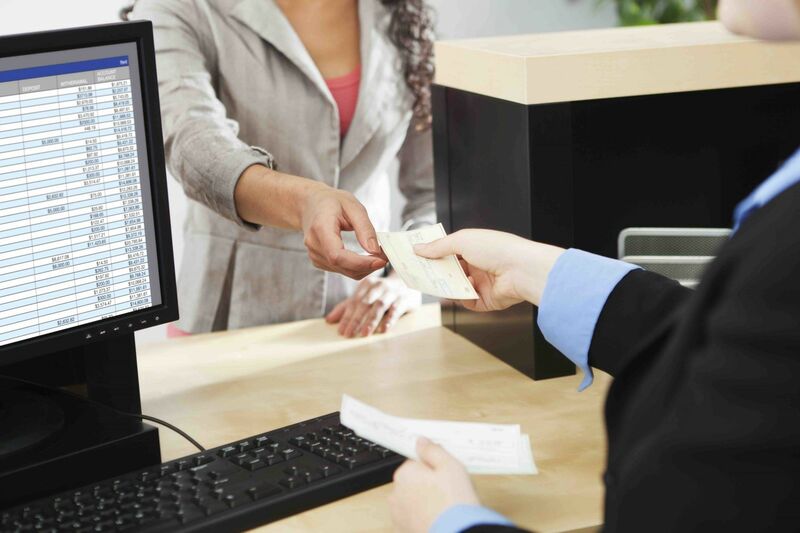 Customers give basic data to banks, including name and address, gender, birth date and usually their Social Security number when they open a deposit account or get a credit card. Once you’re a customer, financial institutions can mine additional details about you by looking at card transactions, online bill payment records and purchasing data that provides information about your web browsing habits. Banks can also purchase anonymous data from third-party brokers and cross-reference it with their own customer information to identify specific individuals. “They can start to build a much richer view of who you are and link that to you as an individual,” says Khalid Khan, an analytics partner at A.T. Kearney, a management consulting firm. The use of Big Data is burgeoning. Only 38% of North American banks are now deploying and expanding Big Data initiatives, according to a 2013 survey from Celent, a research and consulting company. However, becoming adept at collecting and using Big Data is a goal most financial institutions share, says Nathan Newman, director of Data Justice, which seeks to highlight how Big Data can be used to exploit consumers. “Everybody tries to do it because more data means more success,” he says. Financial institutions are still experimenting with Big Data, but some uses include detecting fraud, finding new customers, offering new products to current ones and learning more about how consumers interact with their services. Much of it is based on correlation, or connecting things like customer purchases and website visits to infer details about lifestyles. Newman says consumers should be concerned about this. “You’d like to be able to buy something or go on vacation and not be worried that it will go into the Big Brother algorithm,” he says. Consumers should be vigilant about protecting their personal information, says Doug Johnson, a senior vice president at the American Bankers Association. For instance, users can adjust the privacy settings on social media sites to ensure that the information they give Facebook, Twitter and the like stays private. People can also set web browsers so that browsing histories aren’t retained. Finding new customers. Financial institutions are finding ways to tap into customers’ social media channels and identify potential new clients among their friends, followers and connections. Banks hope those people will be more likely to become customers since they already know someone who already is. Improving services. Banks can also harness information from their mobile apps. Some use location data from mobile devices to determine where to put new ATMs by identifying places customers frequent, says Khan, of A.T. Kearney. Decision making. Banks are also using Big Data to make lending decisions, in addition to traditional measures such as credit reports. For example, loan officers can look at an applicant’s spending behavior to see whether he or she splurges on vacations or buys high-end brands. That may suggest the person is prone to overspending, which can result in a higher interest rate, Newman says. “They’re looking to offer you the highest interest rate you’ll accept,” he says. Different types of financial institutions use Big Data in their own ways. Banks. Big banks can benefit from holding a larger amount of customer data. They can parse internal data about their own clients, while many other banks purchase data from brokers. Wells Fargo created a “chief data officer” position to oversee data strategy, manage risk and develop ways to use data to improve customer experiences, the bank said in February 2014. Online lenders. New entrants are taking advantage of Big Data, too. Startup lenders including Earnest in San Francisco and ZestCash in Los Angeles use nontraditional credit data to determine loan approvals and interest rates through their mobile and online platforms. Earnest, which offers student debt refinancing and small personal loans, uses customers’ education, employment history and financial background in addition to credit history to determine interest rates, according to the company. Subprime lenders. Finally, subprime lenders use Big Data to target financially underserved consumers who have no option but to accept loans with high interest rates. Newman says this occurred as part of the buildup to the subprime mortgage crisis. Subprime lenders purchased Big Data from online advertisers to profile vulnerable consumers and target them with offers for loans that they probably couldn’t afford, leading to defaults, Newman says. Banks’ increased use of Big Data inevitably raises privacy concerns, especially amid recent data breaches such as the one at JPMorgan Chase that exposed contact information for 76 million households and 7 million small businesses last year. Khan says banks are ramping up security on customer data to block hackers. “This is one area where banks are starting to invest significantly because they’ve seen it happen with retailers,” Khan says, referring to incursions into Target’s systems in December 2013 and Home Depot’s from April to September of 2014. The Target breach exposed 40 million credit and debit accounts, while 56 million cards were put at risk by the Home Depot hack. With online and mobile banking increasingly prevalent, there are more chances that your information may be compromised. To protect yourself, follow these five steps. Despite the privacy concerns it can raise, Big Data isn’t necessarily a bad thing. Fraud alerts, such as phone calls from your credit card issuer about an unusual purchase, are possible because banks use Big Data to learn your spending habits. Some banks also use Big Data to see what financial products you might need, and then offer them to you when you call or visit a branch for another reason. For example, say you call your bank’s customer service line to make a complaint. The representative you speak with could see that you’ve owned a home for 10 years and might offer to discuss a home equity loan after resolving your complaint. Financial service providers use Big Data to learn more about you as a customer, from how you spend to how you use their online systems and mobile apps. Banks massage the data so they can offer you customized products when you may actually need them. They extract this data largely from your online activity and credit card records, so shy of staying offline, there’s not much you can do to prevent it.